This lovely cottage is located in the old part of the market town of Buckingham within easy walking distance of both the town centre and the University. The cottage has an open-plan dual aspect living room/kitchen which is fitted with a range of base and wall units finished with rolled edge work surfaces, incorporating a single bowl sink unit, electric halogen hob, electric oven, cooker hood, space for a full height fridge/freezer and plumbing for a washing machine. The back door gives access to the rear garden which has brick built storage housing the gas boiler and lovely countryside views. 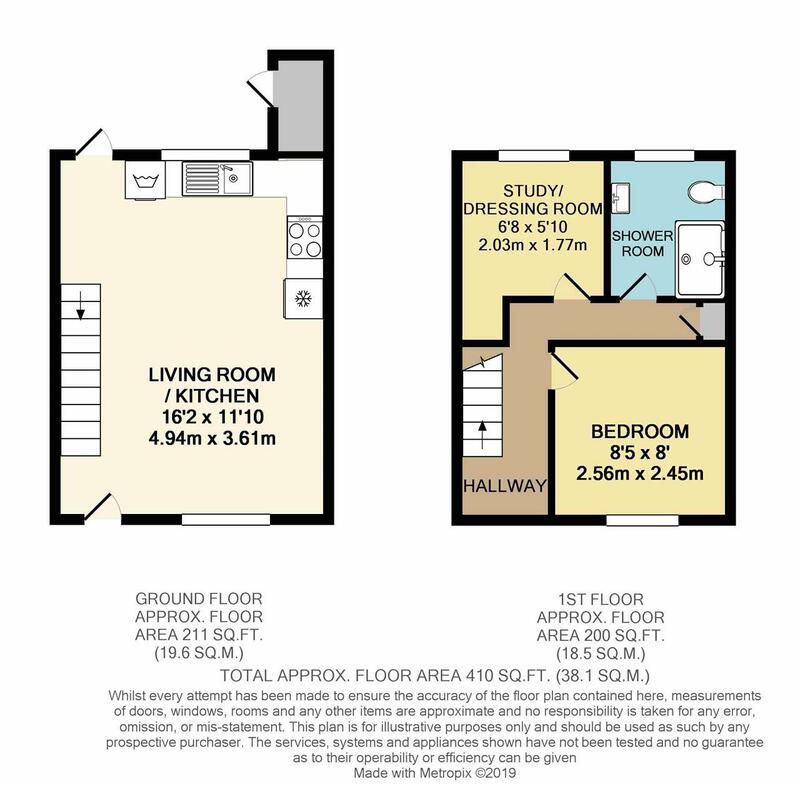 Upstairs there is a double bedroom with a storage cupboard, a further room which could be used as a study or dressing room whilst the shower room has been fitted with a white suite comprising a close coupled w.c, wash hand basin and shower cubicle.